PACT Construction was one of 10 other builders invited to submit their interest in the groundbreaking five-storey project, and upon being shortlisted, were successful in their bid. “While we weren’t the largest construction company under consideration, our strong relationship with JCY, cost effective methods, collaborative approach and track record delivering considerably large projects certainly helped us stand apart,” said Jason Kunkler, General Manager of PACT Construction. 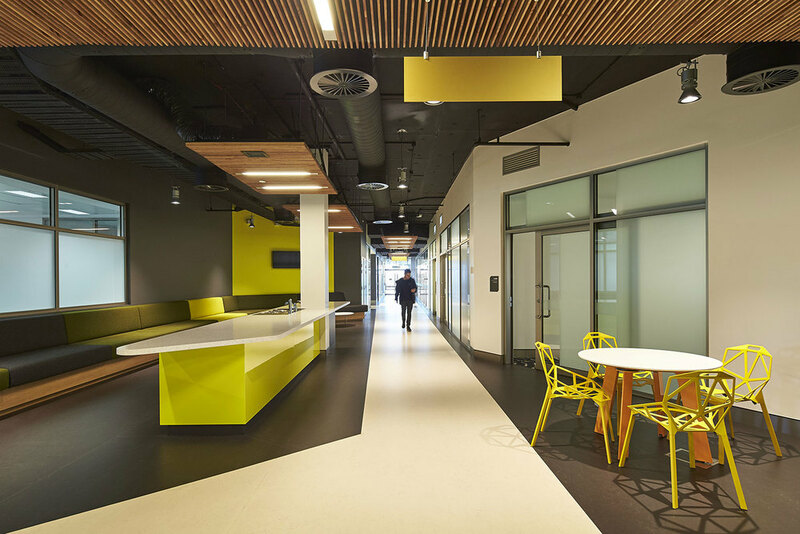 Constructed to meet a five star energy efficiency rating, Building 34 has bought all student facilities under one roof, utilising state-of-the art technology such as large LED panels. “The full wrap-around façade was certainly a major challenge,” said Mr Kunkler. “Combined with the glazing, it forms the complete sun shading element of the building. We were responsible for the design and construction of both the glazing and cladding. Also of a complex nature was the delivery of services. PACT was required to construct in-ground ductwork, which delivers airflow from the existing university system into the new building. In addition, all works were carried out in the landscape of a busy, fully functional university, resulting with a wide range of access, noise and safety issues.